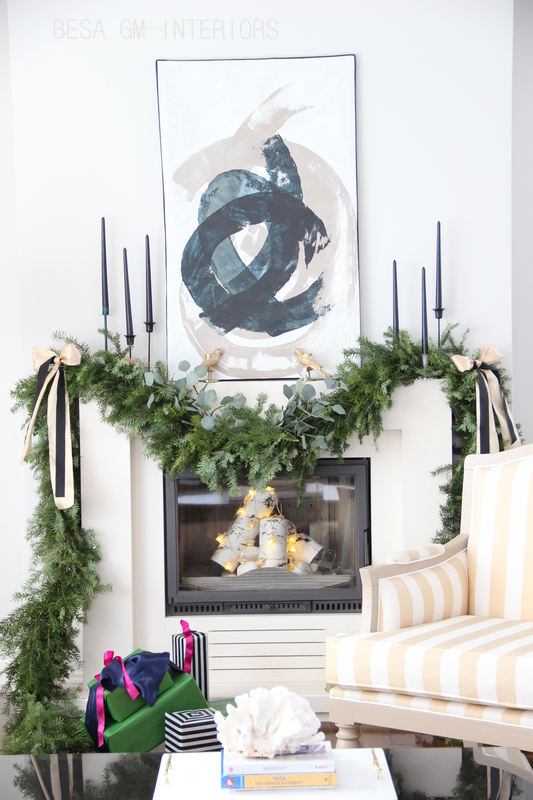 Holiday decorating is one of the most magical elements of the festive season. 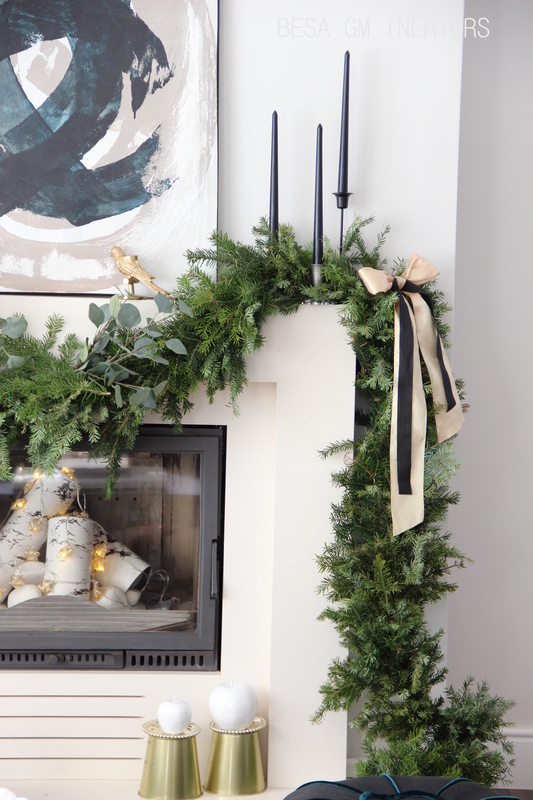 Bringing the Holidays to life with imaginative decorating ideas for indoors and outdoes is a lovely way to surprise family and friends at a time of the year which is meant for delight. 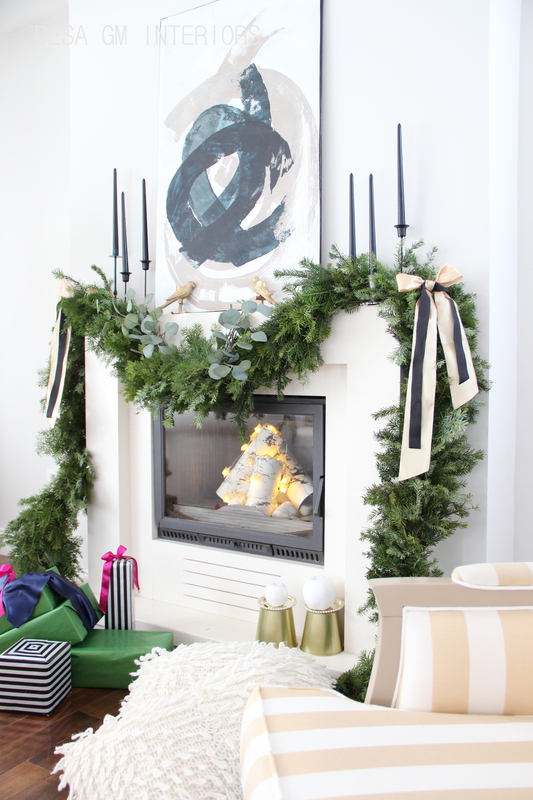 However, when it comes to decorating for the Holidays I tend to lean towards modern, minimalist decor which suits busy people who love decorating and entertaining without putting so much time and effort into decorating process. 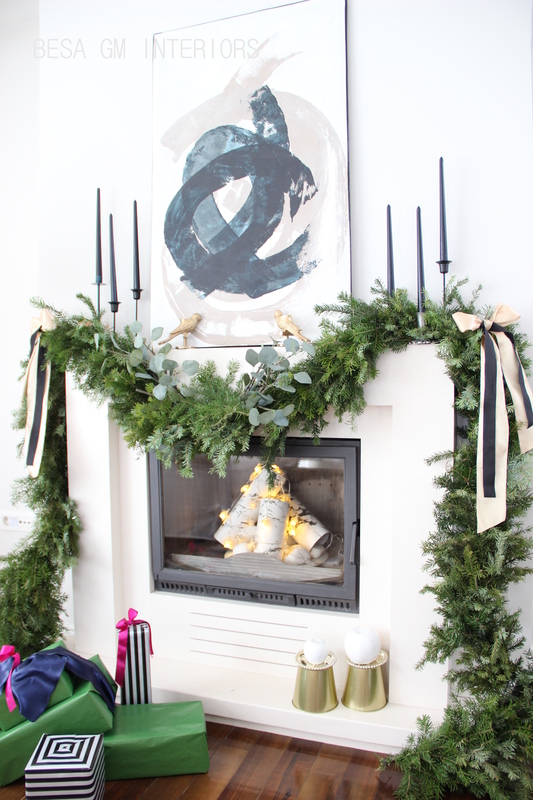 First thing that got decorated in my house this year was our fireplace, and although it looks grand and luxe, it was so simple and easy to create the look. 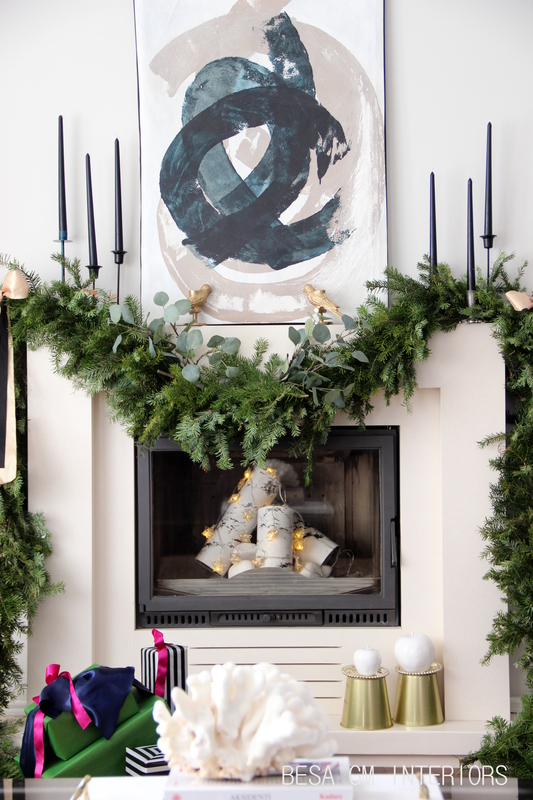 I wanted a mantel decor that is modern and traditional at the same time. 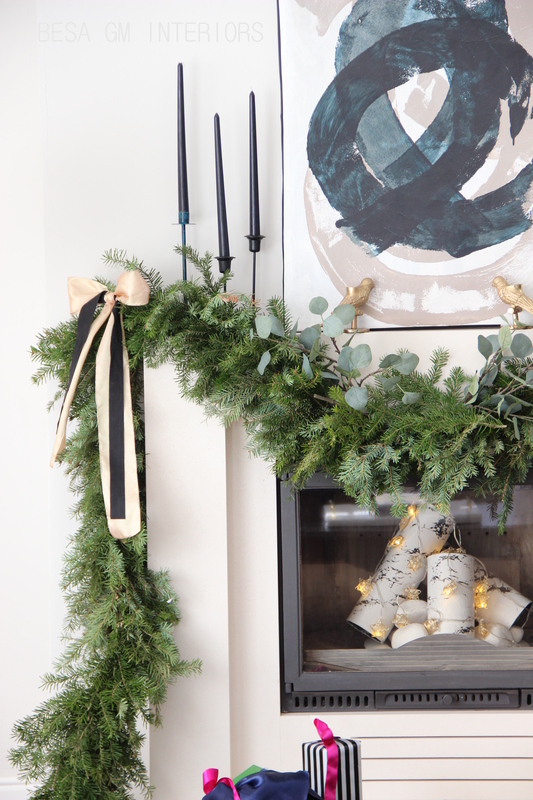 So to achieve the desired look I DIY-ed a 5 meters long garland from the fresh pine branches and added some eucalyptus leaves here and there. Above the fireplace I hung my lovely brush stroke painting which I painted two years ago. 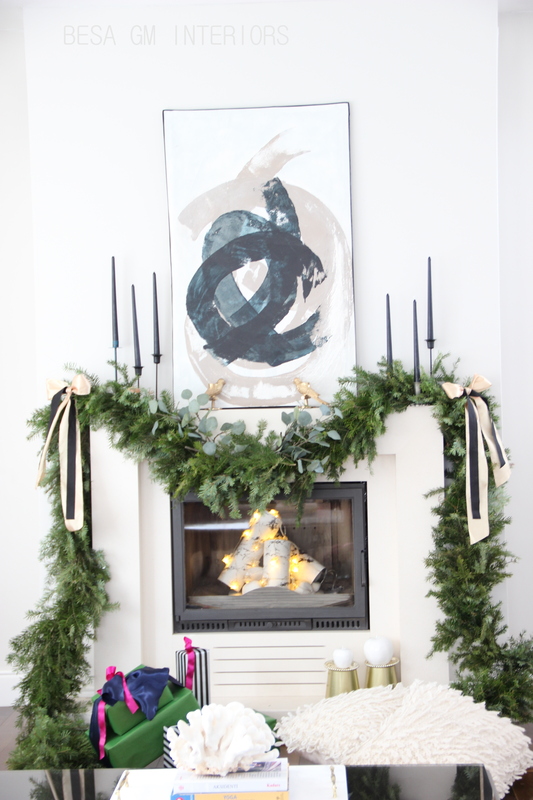 For that anticipated modern look I placed clusters of black candles on each side of the mantel and to add a traditional flare to the look I added subtle peach silk ribbons; and at the same time for wanting these bows to still look modern I toped them with a black cotton ribbon. 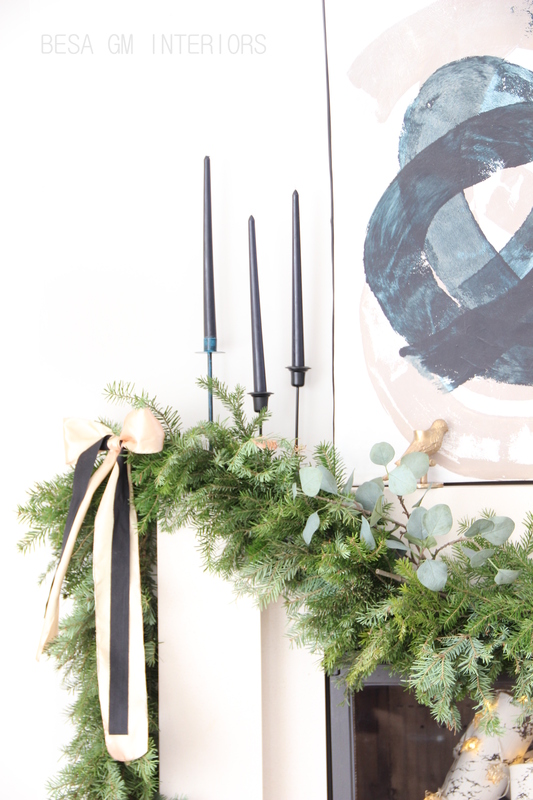 The black ribbon complements the black candles and it really gives the whole scene a modern look. 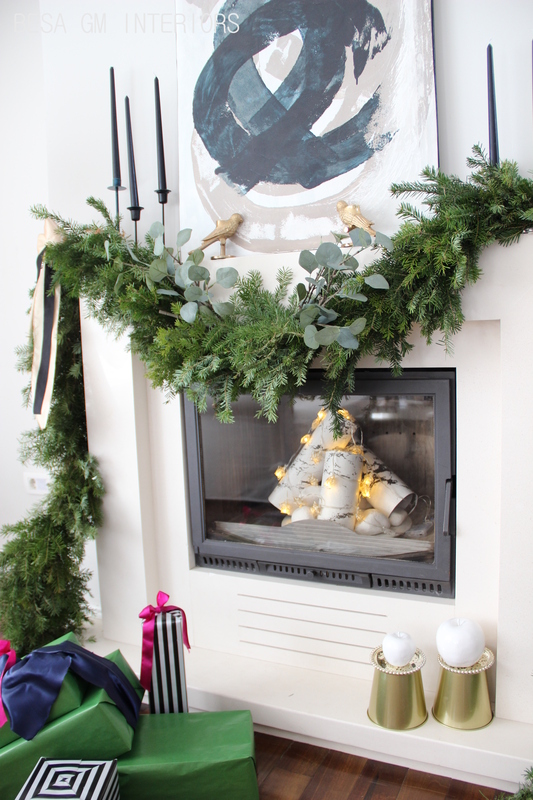 So, this year also, my mantel is pretty simple, and super easy to decorate. 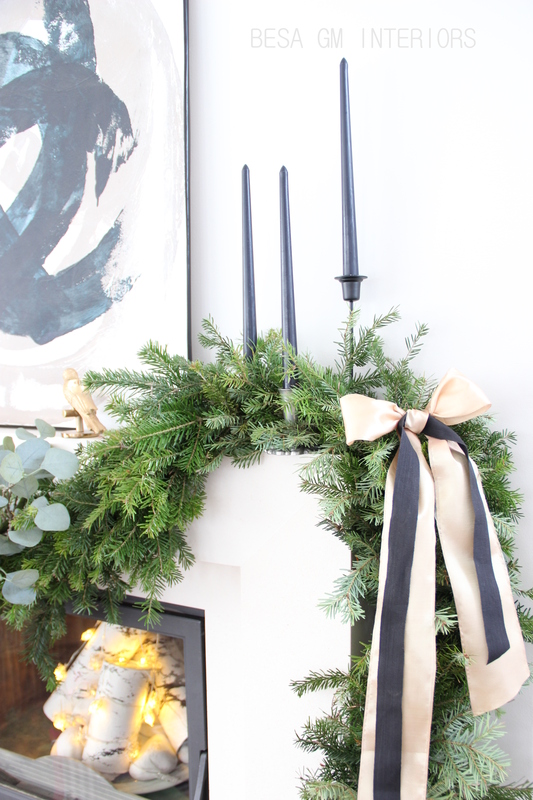 And, if you make your own garland and have some candles around (which I am most sure everyone does), this is an easy and non costly decorating project to undertake. 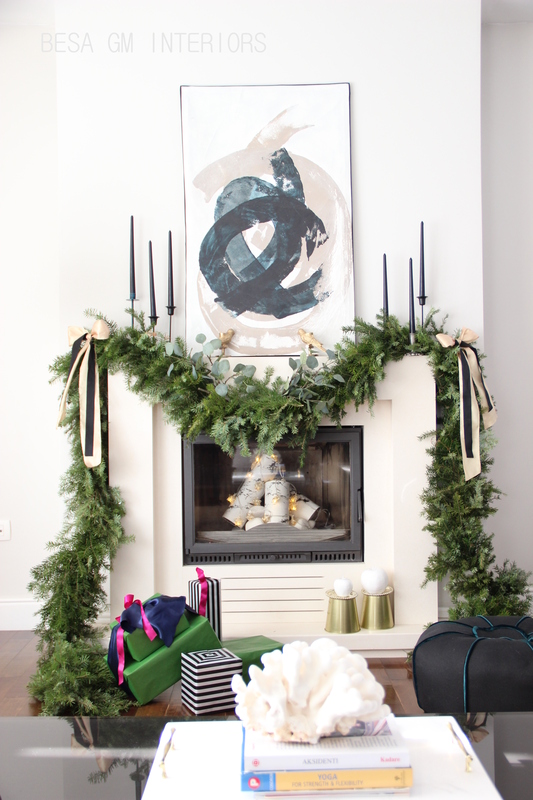 Are you done with your Holiday decorations yet? If not than it is time to hurry up! 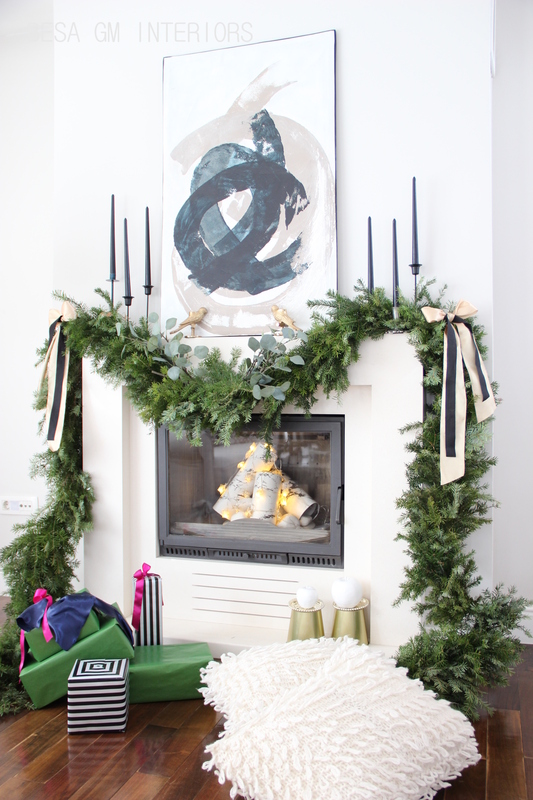 The Holidays are just around the corner and you want to see those happy faces of your family and friends when they enter your decorated house!